When Donald Tusk delivered his reply to Theresa May's request for an extension to Article 50 yesterday afternoon, he spoke in the hushed tones of a mourner-in-chief. In short, Mrs May had requested an extension to June 30 in order to hold a third "meaningful vote" on the Withdrawal Agreement, but Mr Tusk said "no". Instead, if Mrs May wanted a "short extension" (probably to May 23) to complete the legal paperwork on the Brexit divorce deal she would first have to demonstrate there was indeed paperwork to complete. That meant holding and winning the vote. There is a cold logic to this position which was arrived at in Brussels and across EU capitals after three months in which the EU's reserves of goodwill and patience have been inexorably drained. When Mrs May breezed to Mr Tusk in her letter that she was "confident parliament will proceed to ratify the deal constructively", the plain fact after two massive defeats is that her fellow leaders don't share that confidence. Talk to EU diplomats and it is clear the EU has had its fill of Mrs May; had enough of her failure to deliver on parliamentary votes; and enough of her willingness to undermine her own promises to Europe in order to pander to her Eurosceptic backbenchers. 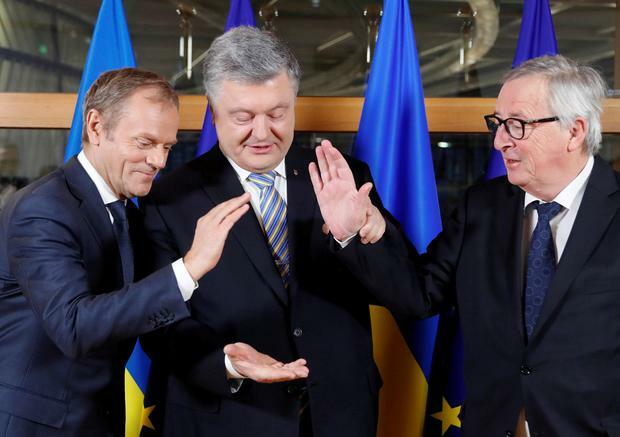 The latest irritation had come only a few hours earlier when Mrs May ignored the request of Jean-Claude Juncker, the European Commission president, not to request an extension date beyond May 23 and the start of the EU elections. This has emerged as a red line for Europe, which fears the EU risks becoming "legally unstable" if the UK remains a member without participating in those elections, denying millions their legal right to democratic representation. The result of all this pent-up mistrust was a big, fat "no" to Mrs May's request - and in its place an offer of a "short extension" conditional on the passage of her deal. Emmanuel Macron, the French president, was the most high-profile advocate of toughness, but diplomats said the display of solidarity was not difficult to achieve. The EU hopes that this game of hardball may, of course, be helpful to Mrs May, allowing her to put the frighteners on MPs on both sides of the House to such an extent that her Withdrawal Agreement finally passes. But equally, as officials acknowledge, by refusing to grant a palliative extension to Mrs May, the EU leaders are now complicit in driving the Brexit bus mighty close to the cliff edge. If Mrs May fails to win that third meaningful vote - which Brussels presumes she will find a way to hold despite John Bercow's intervention - Mr Tusk has left the door open to an emergency summit, but that presumes the prime minister will be able or willing to get there. Will she accept a mandate to sue for the longer extension required to hold indicative votes, leadership elections, general elections, second referendums or whatever other course of action the British government takes? Might her promise not to be the prime minister who asks for a longer extension mean not that she will resign, but rather that she will opt for no deal over a long extension which will now clearly require the UK to sign up to EU elections by April 12. As one official acknowledges, with Brexit day looming, there is now "very little room for manoeuvre". Very real risks of an accidental no deal now present themselves, but it is a measure of the sheer frustration among EU leaders that they are prepared to run them. As one senior diplomat puts it: "The bottom line is we don't want a no deal. "But no deal is better than a bad deal. And no deal is better than a bad extension."